Raised in a Catholic home, I have been exposed to devotion to the Blessed Virgin Mary since my childhood. Around our family house, I was accustomed to seeing images of her on our walls, tables and bureaus. It was something I grew up with. I never felt that I was worshipping her but just honoring Mary for what she was and is — the Mother of Jesus. Since I went to a public school, I had Protestant friends and spent time at their houses which were noticeably devoid of anything Marian. Mary was not a part of their growing up experiences and they probably thought little about her. But as a child, I would often take part in neighborhood rosaries that were recited around backyard shrines in the summertime — one of them being a few houses away in a pleasing garden setting that brought neighbors together to pray. These memories are treasured reminders that Mary was a vital part of my Christian education from the start, and so I never had any prejudices against devotion to her. She was always the heavenly Mother of God who was there to help you, comfort you and lead you to her son Jesus. Regrettably, many people are brought up with the wrong perceptions of our Blessed Mother Mary. Our Protestant brothers and sisters and non-Christians have not been introduced to the real Mother of God and either have no knowledge of her or a distorted introduction to her. How sad this is, for Mary is our spiritual Mother, not only for Catholics but for all people. In the Fatima apparition of June 13, 1917, the Blessed Virgin Mary told Lucia: “Jesus wishes to make use of you to make me known and loved. He wants to establish in the world devotion to my Immaculate Heart.” For all those who desire to minimize Mary’s importance in salvation history and view her simply as a vessel that God once used, this statement tells us a different story. God wants His mother to be especially honored by all of us and to be blessed by all of us. And He greatly desires that we have devotion (that is, profound dedication and earnest attachment) to her pure heart wherein she readily embraced the will of God and followed it at all times. She was His flawless earthly mother and His perfect disciple — truly the masterpiece of His creation. Our non-Catholic brethren often chide us for idolizing Mary. They say that we go overboard and accuse us of worshipping her and putting her on the same level as the Lord. But I would like to reflect on some scripture passages that show us how the Blessed Virgin Mary was Jesus’ revered and perfect disciple, His and our loving Mother, and humanity’s powerful intercessor before the Lord. As Catholic Christians we are all familiar with the prayer “The Hail, Mary” which acknowledges Mary as full of grace and blessed among women. These salutations come from the biblical verses (Lk 1:28 and 42) in which Mary is greeted by the angel during the Annunciation and when Mary’s cousin Elizabeth greets her at the Visitation. Later in the Gospels, we read that a woman cried out to Jesus, “Blessed is the womb that bore you…”And Jesus replies, “No, blessed rather are those who hear the word of God and keep it…” (Lk 11:27-28). Now, some of our separated brethren like to use this example as a way to take a subtle swipe at Mary. See, they point out, Jesus is showing us that the object of His physical birth is just an earthly vessel and really nothing extraordinary. Would Jesus really consider His mother in this pejorative sense? Would He even remotely be disrespectful of her when He was the perfect observer of the Ten Commandments that calls us to honor our Father and Mother? There is no doubt that Mary heard the word of God and kept it fully. This is what Jesus is emphasizing, as Luke relates in his Gospel narrative about Mary:“Blessed is she who believed that there would be a fulfillment of what was spoken to her from the Lord…” (Lk 2:51). The Virgin Mary believed the angel’s words that she would conceive the Son of the Most High, even though such a thing seemed impossible. This is why the Church holds Mary up for us as the crowning example of the one who heard God’s word, believed it, kept it and lived it. She is the one perfect disciple of Christ. Many people are totally repelled by the thought of Mary, a mere human, being called the Mother of God. Since the fifth century Council of Ephesus, the Church has given her the title Theotokos. 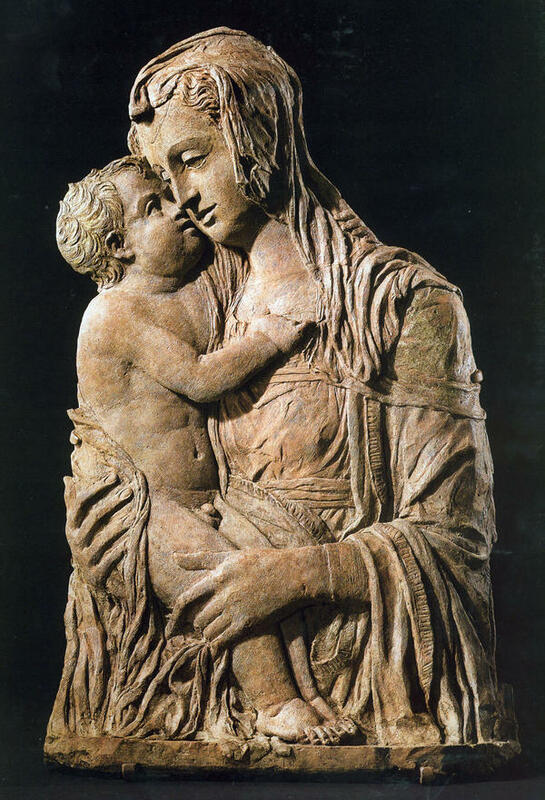 This reinforces the belief that since Jesus is the Son of God, Mary was therefore the Mother of God. Moreover, the early Church regarded Mary not only as the Mother of Jesus, and hence the Mother of God, but also the Mother of all who believe in Jesus. We read how during His crucifixion Jesus entrusted St. John, His beloved disciple, to Mary and Mary to John with the words, “Woman, behold your son…”, and to the disciple, “Behold, your mother…” (Jn 19:26-27). With this act Jesus was providing for the material care of His mother. Furthermore, the beloved disciple represented every believer. Now all believers can place themselves in John’s shoes and are exhorted to:“Behold your mother!” This is Jesus’ authoritative gift to us all of Mary, our mother. He gives each of us who believe in Him, His very own mother to be our mother who loves us all and cares about us all. There is one more scriptural reference that I would like to ruminate on that gives us a good idea of Mary’s extraordinary intercessory power. It is the passage from the Wedding Feast of Cana (Jn 2:1-12). We are acquainted with this scenario. Jesus and Mary have been invited to a wedding celebration. The wine runs out. Imagine yourself at a big wedding bash and no more wine! What a disappointment! So Mary goes to Jesus with a hint to fix it. She simply says, “They have no wine.” And Jesus responds,“What does this have to do with me?” Now that may seem like an off-putting reply. But on contemplating it, I believe, Jesus was testing Mary (and us) a bit, stretching our faith. So I think Jesus showed us by His response to Mary’s request at Cana that His heart can be moved by His Mother’s intercession. Mary tells the wine stewards, “Do whatever he tells you.” Jesus turns the water into the best, the finest, the tastiest wine! That’s what Mary’s intercession provides—it moves her Son’s heart to grant us the very best. Sorry to say, these reflections are very troublesome for many, even for some Catholics. They think that if we honor Mary we are detracting from Jesus. If you do some research, you would be amazed at the intensity of objections leveled against those who venerate our Blessed Mother. They have created a word to describe us: Mariolatry which literally means “Mary-worship.” Catholics and Eastern Orthodox who venerate Mary as the foremost saint are accused of idolatry, of putting her before the one true God and of even giving her equal honor to God. “Mary,” they say, “has no power to connect us to God, to heal us, to hear our prayers. Singing hymns to her, praying to her, kissing her picture, parading her image through the streets, bowing down before her statue, reflect a degree of reverence that certainly imitates idolatry…” (quoted from: gotQuestions?org). For those of us who love our Blessed Mother and know that our veneration towards her does not take away or lessen our honor or worship of God, we are grieved by such statements. However, Mary is not driven away by such attitudes. She is only waiting in the wings for God’s light to permeate minds and hearts. A story from the life of a fervent Jew illustrates what I mean. Jean-Marie Elie Setbon was born in France in 1964 and trained in Israel as an Orthodox Jewish rabbi. From the age of eight he had an inexplicable attraction to Christ’s cross and would often as a teenager secretively visit Paris’ Sacré-Cœur Basilica to sit before the presence of Christ. Upon graduation from high-school, he moved to Israel to immerse himself deeper into the faith of his ancestors. He returned to France eight years later as an ultra-Orthodox Jew. Interiorly, he continued to struggle between his heart’s attraction to Christianity and his head’s affirmation of his Jewish faith. Eventually, he confided to a priest some of his mystical experiences. He would often find himself in chills in the middle of the night, overcome by the presence of Jesus. When speaking to his priest friend, the question of the Virgin Mary often came up and one day Jean-Marie declared, “I’m not interested in the Virgin Mary!” The priest persisted,“Why do you say that praying to the Virgin Mary is idolatry?” Setbon answered, “When I… see all those processions at Lourdes, these candles and prostrations before statues, it’s like idols in Asia, Africa or the Bible.”Nevertheless, Setbon was confronted by the priest to say the rosary before he went to sleep. Reluctant at first, he nonetheless took the flyer explaining the rosary. That night he nervously prayed the rosary before going to bed. He reveals what took place: “Then I fell asleep and slumbered like a baby — until morning! As it happened, since that rosary, I have not been awakened at night! Instead, when I opened my eyes in the morning, I was filled with a crazy desire to prostrate myself at Mary’s feet to show her my love! Unbelievable, no? Jesus led me to Mary, His Mother, while usually it is the reverse, one comes to Jesus through Mary” (quoted from: From the Kippah to the Cross: A Jew’s Conversion to Catholicism / Ignatius Press). Setbon entered the Catholic Church in 2008 and acts as a lecturer and educator in theology and biblical exegesis.